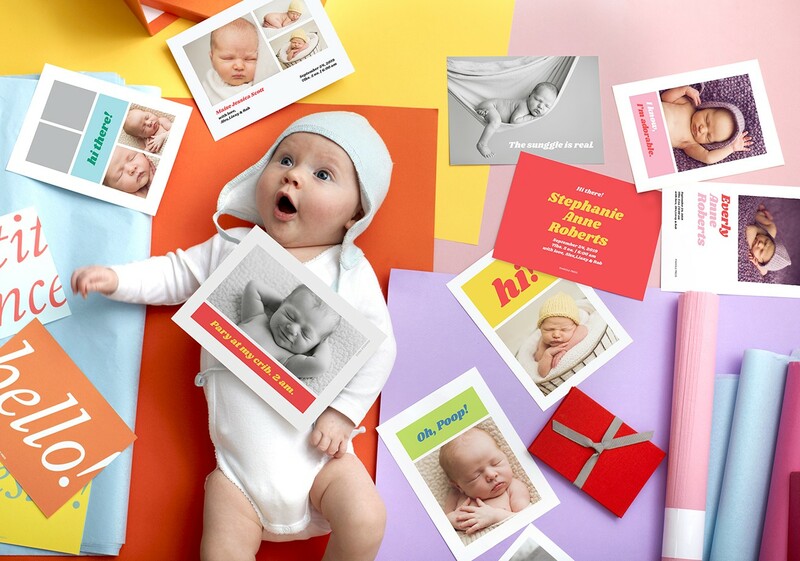 with colorful cards & photo gifts for your baby’s debut. You’ve got the cute baby, we’ve got the cute cards. It’s a special time in life, filled with sleep, relaxation & calm. Then comes baby. We’ve got you covered from the shower to the birth, and all the celebratory things in-between. Everyone’s excited to see your new bundle of joy! Give them a glimpse with a photo birth announcement, featuring custom colors and layouts to choose from. Time to get showered in love. Plan your party with personalized swag. From the invitations to the favors, it's the small things that count. Your parents are about to take on the superhuman role of grandparent. Celebrate with a gift featuring none other than your sweet bundle of joy. Don't let baby brain make you forget to say thank you. Choose a personalized Thank You Card to send your gratitude and love.